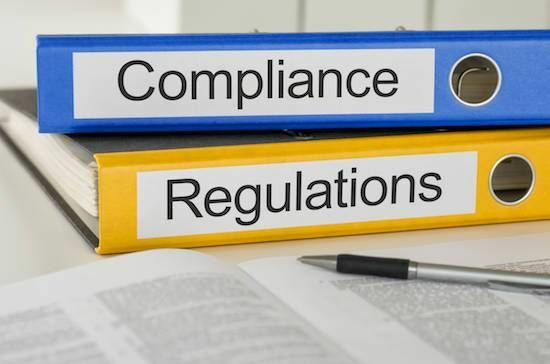 If an employee is in a wheelchair - and therefore not able to use an adjustable office chair to set the correct height for a traditional seated desk - the company or individual will need to find a desk that works for the exact height of the wheelchair. In some cases, that may not be an easy task. Adjustable desks may be the only way to properly accommodate wheelchairs and provide the ergonomic fit needed for safe and comfortable desk use. Accessibility is crucial for any business, so let's explore what's required for wheelchair accommodation, the optimal positioning for anyone seated at a desk and how a three stage adjustable workstation offers the most options for customizing desk height - and therefore provides the safest and most comfortable fit. The Americans with Disabilities Act requirements state that desks and tables must be 27 inches or higher so that people using wheelchairs can easily use them without bumping their knees. In contrast with standard seated desks, height adjustable desks provide the customization necessary for employees and visitors in wheelchairs - or any array of unique physical needs. An electric height adjustable desk, in particular, is most beneficial for an individual using a wheelchair. Adjustment is as simple as pressing a button, with no need to worry about getting the right leverage and positioning to use a manual crank. A refresher on determining proper desk height for health, posture and comfort: When the desk is positioned correctly, your arms should be bent at a 90-degree angle, and the desk or keyboard tray should be at elbow height for comfortable keyboard use without bent wrists. Slightly lower than elbow height is acceptable as well, if preferred, but never higher - angling arms and wrists upward can cause strain. An adjustable keyboard tray can be helpful in setting keyboard height relative to the rest of the desk. 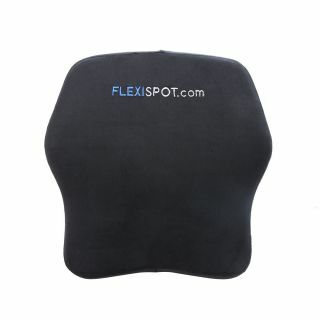 For neck comfort, the top of the monitor should be at eye level. (An adjustable monitor arm can provide further customization for exact height.) A laptop on a height adjustable desk should always have either a separate keyboard or separate monitor, as laptop screens are generally too small to be at eye height if the keyboard is correctly positioned - so one would quickly notice neck strain from looking down. 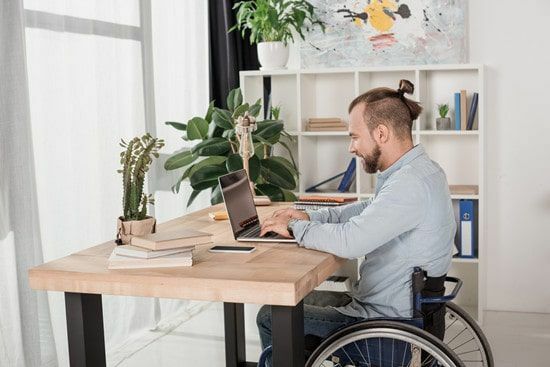 In the past it may have been difficult for people in wheelchairs to optimize their positioning at their desk, but today's wide array of adjustable desk options make it easier than ever before to find just the right fit. What makes the three stage desk special? Let's explore the definition first - the meaning of "stage" in the name. Each leg of a three stage height adjustable desk frame is made out of three separate expanding and collapsing pieces, as opposed to the standard two pieces that form the legs of a two stage desk frame. Because of the additional expand/collapse capability, a three stage desk has a wider range of height adjustment. For example, the range difference between the FlexiSpot desks linked above is almost a full six inches - which, on the three stage desk, includes expanded range on both the low and high ends. In fact, the extended height range of this particular three stage desk accommodates 99% of the population. The aforementioned 27-inch desk clearance guideline is obviously important to incorporate into every office and business for general accessibility. But not all wheelchairs are created equal. Some customizable and varied height wheelchairs may have very specific requirements for proper desk fit, and three stage height adjustable desks can accommodate wheelchair users at their own personalized workstation should they need their desk surface lower than the 28.5" offered by a standard two stage frame. Additionally, look carefully at furniture specifications before purchase to know what to expect in terms of assembly. For example, a three stage desk such as the SanoDesk Pro arrives almost completely pre-assembled, offers easy set-up and is ready to use in less than five minutes. Simple assembly is an often-overlooked feature that can make all the difference for anyone with limited resources or time for furniture set-up. Customization and comfort are important for any employee's workstation, but wheelchair users in particular require a desk that will work with them. Consider three stage adjustable desks to accommodate the fullest spectrum of employee ergonomic needs!